Karndean floors are very hard wearing but like all vinyl flooring products, regular care and maintenance will enhance the beauty and durability of your new floor. We recommend that you order a Karndean Clean Start and maintenance pack with your new Karndean floor. 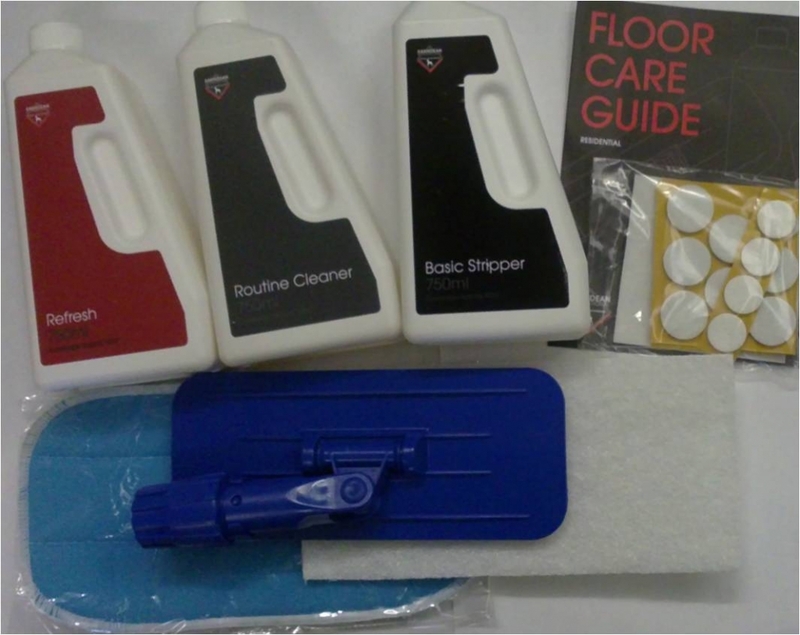 Each Floor care pack comes with an easy to follow 3 step instruction sheet. We also sell the Karndean Cleaning Product Refills. Available in 750ml for smaller floors or larger 2 Litre sizes which will save you money in the long term.